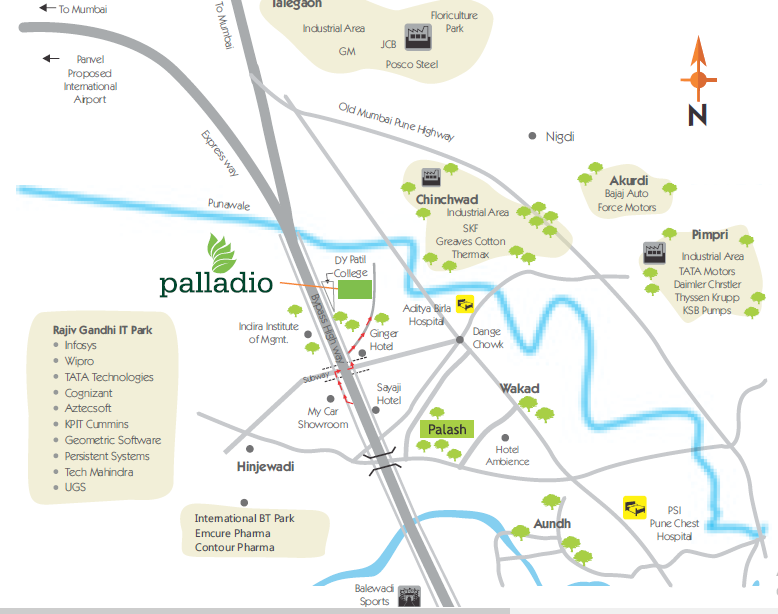 Palladio by Vilas Javdekar Developers is a brand new and affordable township project located in Wakad, Pimpri Chinchwad PCMC in Pune. This is a well-occupied residential property planned wonderfully where work, play and entertainment come together amazingly. The development is thoughtfully designed with a purpose to offer a refined lifestyle to all kinds of people. Vilas Javdekar Palladio is a premium housing development offering a beautiful mix of 2 and 3 BHK apartments in varying configurations. The apartments are spread over well-structured towers and equipped with world-class features and facilities. The area of these apartments varies from 950 sq. ft. to 1600 sq. ft., crammed with all the modern specifications to match the taste of modern homebuyers. This is a well-designed property brilliantly planned to offer a robust lifestyle. The apartments are Vaastu-compliant to bring maximum positivity. 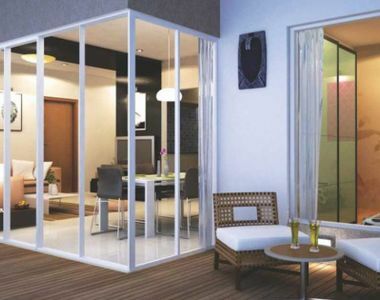 The intelligent floor planning ensures maximum space utilization and privacy of the residents. Unmatched in quality, premium fittings and classy fixtures, Palladio is an elegant residential property that will surely blow your mind away. Another eye-catchy feature of this property is that the apartments are airy and ensures proper cross-ventilation of natural light. This is a signature residential property offering incredibly designed homes with a host of modern conveniences to ensure a contemporary living experience. In terms of construction and design standards, Palladio will definitely be a perfect home for you. These homes are not only supremely designed but have all the facilities for the residents to make their living comfortable. When it comes to the amenities, Vilas Javdekar Palladio Tathawade has everything to offer an elevated lifestyle to the residents. There are several recreational facilities available within the complex where the residents will spend their quality time while socializing with other inhabitants. There is a cricket pitch, digital golf and microplex facilities for the residents. There is a dedicated jogging track, swimming pool, and kids’ play areas available at the complex. The security features at the project are advanced and ensures complete safety of the residents within the complex. When it comes to the location, this is the main USP of the property attracting a number of buyers and investors. Located in Tathawade near Wakad, the development enjoys fast and easy connectivity to all the important locations in and around the city. The area is undergoing through rapid infrastructural development and has become the most preferred localities to live in Pune. Reputed schools, medical facilities, banks, ATMs, shopping malls etc. and other basic and major conveniences are located right at your doorstep making the living of residents more comfortable. The smooth access from the neighbourhood roads and areas ensures hassle-free commuting. Investing in Vilas Palladio Pune is the best option to enjoy good future returns. Vilas Javdekar Palladio price for the beautiful apartments starts from Rs. 55.46 lakhs that further increases up to Rs. 89.90 lakhs as per apartment size and configuration. Multiple payment options are also available to make the purchase of buyers easier. For more information, one can visit the project site. These homes are really affordable and fit in the budget of all income groups. Solar heated water in master toilet.